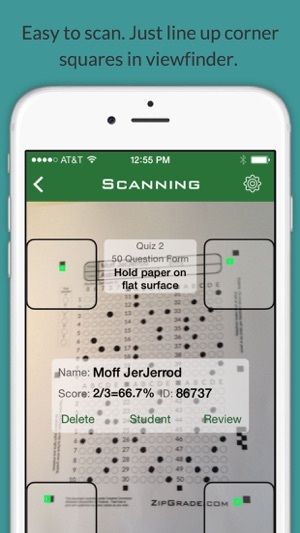 Grade multiple choice tests, quizzes, and assessments instantly in the classroom by using your iPhone or iPad's camera as a scanner. 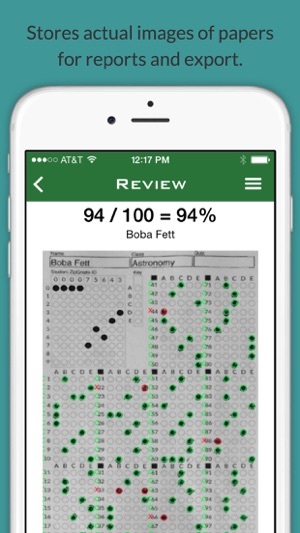 It is the most cost effective, fastest, and most accurate way to grade tests in the classroom or where ever you are. * Uses student ID numbers or written name of student for reporting. * Use companion website (www.zipgrade.com) to manage your data and upload student lists and review results in dozens of reports and exports. 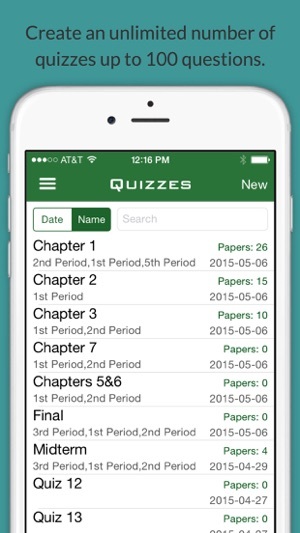 Use for exit tickets, formative assessments, or regular quizzes. Stores results by students, subject, and quiz. Download ZipGrade free with access to all features and website, but limited to 100 scans per month. After you've used it for a class or two, use the in-app purchase a non-recurring subscription with unlimited scanning. I wish I had this ten years ago! A technical tour de force, unfortunately for the last decade’s curriculum. This is a great way to score multiple choice and is ok for rubric scored items. It was most relevant for secondary application where teachers were not concerned with “tagging” individual standards for mastery. As common core is implemented with a greater focus on these standards, and an increased number of math sections converting to integrated math, this will be a big limitation. At the elementary level, It has lost relevance because it does not have the common core standards pre-uploaded so you have to manually input them, then associate the manually written standards with each test item one by one on your cell phone, a colossal task. Corrections to the standards database that you have entered manually are not easily accomplished: you have to erase the standard, re-input it, then re-associate the standard with each test item it was previously associated with. In schools where report cards are written to individual standard mastery, this is a big liability. In the future, the inability to capture images for rubric scored items, i.e. the inability to maintain a portfolio of actual student work images will ultimately render this program to a minor role for the common core teacher. I am so very grateful for this app. In the obvious ways, this app is great because it is time-saving and allows me to give my students immediate feedback on their work. But more subtly and just as important are some of its other virtues; I export the data and am able to return it to students so they can make their corrections. I also use the item analysis to look at patterns that might reveal shortcomings in my instruction. The app developers have been great at providing a rapid response when I did have an issue (which was totally user-error though they were polite in saying so). This app allows you the opportunity to try before you buy but I am happy to be on my second subscription, and thank you for not having it set up to renew automatically! 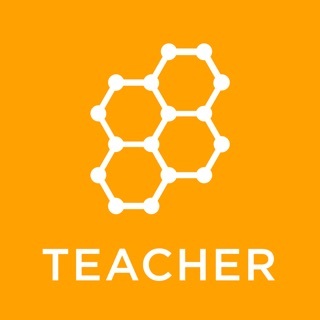 This is without a doubt the best value subscription I have for making easier my job as a teacher. Thank you! I teach 5th Grade Science to 6 classes (a total of 130 students). The free version would not have been sufficient for my needs. My school previously used Achievement Series so I had become accustomed to having my tests and quizzes graded and analyzed quickly. While this program falls short of Achievement Series in being able to tie my standards to my test items, it exceeds my expectations in many other ways. It did take me some time in the beginning to set up my classes and assign student numbers, but once it was set up everything else is a breeze. I must say I really appreciate the feature where I can download the pre-filled student sheets as this will save me 5-10 minutes of assessment time teaching the students how to properly fill in their information.